You are here: Home / News / Construction Safety Week. 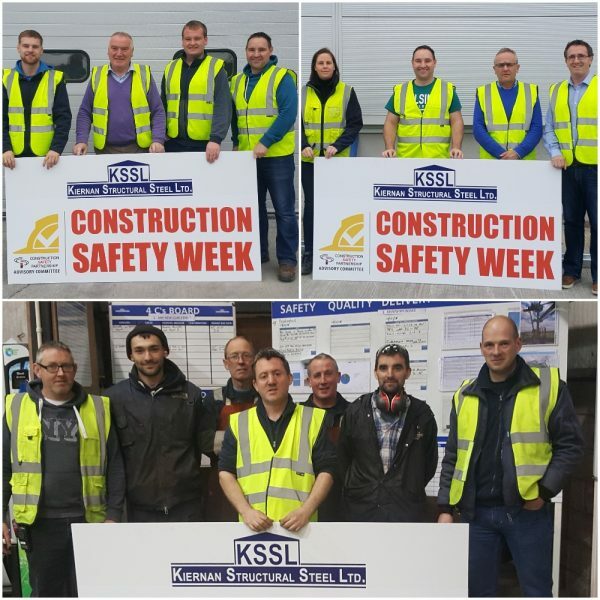 Kiernan Structural Steel are proud to partner with the CIF for Construction Safety Week 2018. 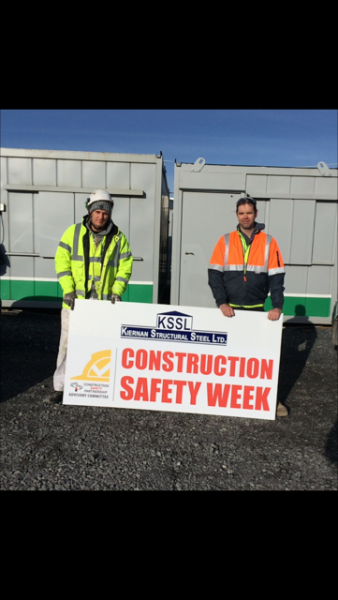 Throughout Safety week we will have events to mark each days topic, Daily toolbox talks and Guest speakers, a safety suggestion box on site to invite suggestions and observations from all staff on how health and safety culture can be improved along with other activities. We’ll be sharing our experience on our social media channels throughout the week – stay tuned for our guest speaker at Tuesdays event!